Now unfortunately, my battery ran out about 2 minutes before his speech ended, but you stil get 50 minutes of the speech. I had an awkward angle while shooting, but honestly, you could close your eyes and just listen. To make following along easier, I even wrote some key take-aways for everyone. It doesn’t matter what industry you are in, this applies to you! And to all of those Beachbbody coaches reading, we are the tribes! We are the leaders! Let’s not forget what we are called to do. Act with generosity, listen with true intent, and give without asking for anything in return. Welcome to the new economy and the true way to build a tribe! What Happened? It took only 5 years to go from perfect to impossible. It truly was the perfect industry. What Happened? A revolution took every song you ever bought and basically made it available to everyone for free. What is a revolution? A Revolution destroys the Perfect and then enables the Impossible. In 1932, General Mills started “interrupting” people by running ads with Betty Crocker. It was wildly successful and it taught companies that if you run enough ads and interrupt enough people, you can make enough money to…run more ads. Unfortunately, ads became so good that the products didn’t even need to be that great (Sea Monkeys example). And the average product for average people was born. Why? 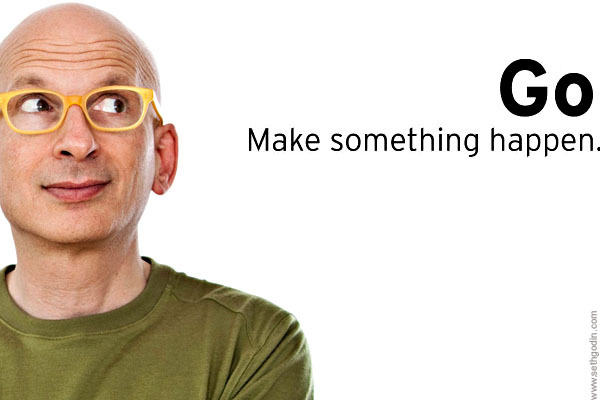 Because if you want to make something for everybody, you need to make something that everybody wants to buy. Welcome to Mass Marketing. 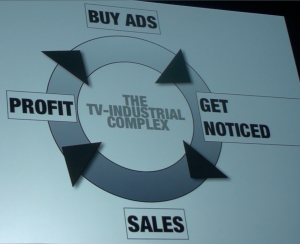 The Demise of Mass Marketing! 1) Clutter on Retail Shelves. 2) The number of places you can interrupt people about your products went up! So here is the gist. You can’t grow the way you want to grow by yelling at people and interrupting them when they dont want to be interrupted! Seth gives an example of his kids seeing a cow out the car window and being quiet for about 4 seconds while they watched it. When it passed, they continuing to do what kids do. His question is this. What if it was a purple cow? Well, that’s a different story, right? That’s unique, different, etc. What is a purple cow? Remarkable! And what does remarkable mean? It is worth making a remark about! If you have something in the world that is remarkable, then people will talk to each other about it! Seth gives a great example of a small company called Little Mismatch that took on the sock industry by selling 3 different style socks for $10 a piece. They made $1M in first year and $40M last year! Why? It is something to talk about! You see, the conversation is worth a great deal. And the hoops you go through to make the conversation happen are worth way more than you could spend interrupting people. You earn the permission and privelage of talking to people who want to hear from you; the ability to deliver anticipated personal and relevant messages to people who want to get them. Permission Marketing – If you dont send out your email update last week, how many people are going to complain, “Where is it?”. If you are not missed, than You dont earn it! There have been numerous revolutions, each with the ability to bring us something cheap. – Cheap Media (1950s). 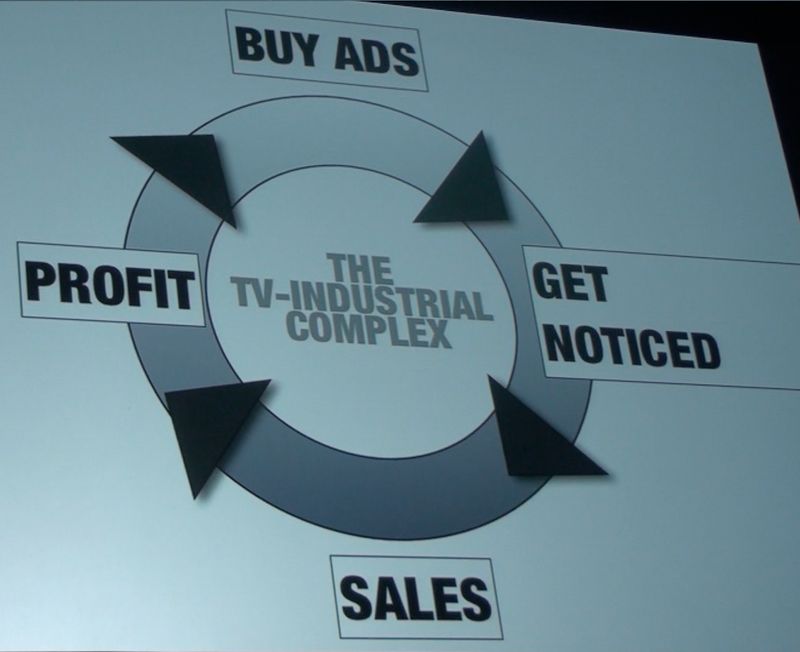 By the way, we invented TV to make TV ads work, not to watch programs. – Cheap Connection – The internet was the first medium not invented to help you sell stuff. It was invented to connect people. And so the internet fuels the Rise of Tribes. Pre Internet, we had 3 tribes: Spiritual, Work, and Community. Now we have countless tribes. It has connected countless tribes! Whether it is fashion, cultue or Beachbody, people like to do what other people are doing! People want to get in sync with their tribes. A leader connects them, creates a culture, challenges them, and commits to them. When we think about mass marketing, tribes feel strange. You want to be in the norm of the bell curve because that is where everyone is, right? But the internet is breaking this too. Because there are more “weird” people outside the bell curve than they are “normal” people inside the bell curve. 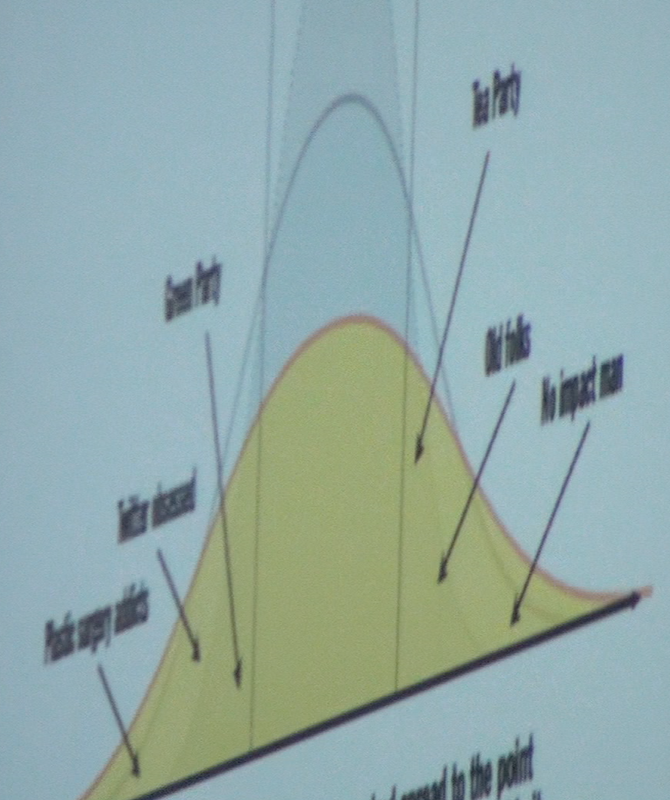 Here is a great picture pf the bell curve “melting”. So our job does not become converting the masses, it becomes connecting with the “weird” people, the people on the edges. 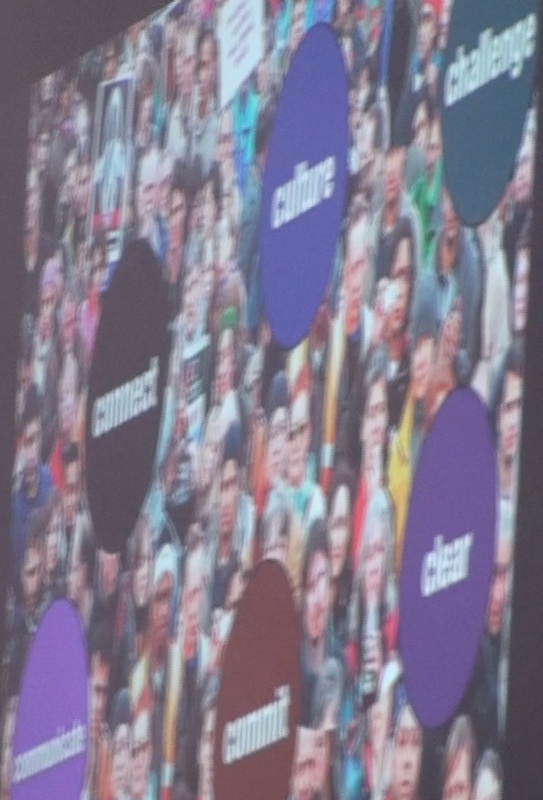 And the more people research and the more people connect, the more they are driven towards the edges. Why? Because it is at the edges where the remarkable stuff happens! The edges is where people talk about it! We are taught from when we are very small to always hold a little bit in reserve. Why? Because someone will always ask for more. Someone will always raise the bar. The industrial economy like the music industry is broken. In the beginning, if you wanted to eat, you hunted. Then farming was invented. And then 200 years ago, jobs were started. You left the farm to work for the guy running the coal mine. And now, things are changing again. – Being real and present and generous with people in your community in a way that is unpredictable to them. What makes it art is that you are doing it for the first time. You are doing it with generosity. You are doing it to connect to other people. If you are looking for a map to say “show me the way, show me how to get from here to there”, there isn’t one. Because then it doesn’t become art, it becomes paint by numbers. So many people are looking for the step by step guide. People in tribes are looking for your authenticity instead. 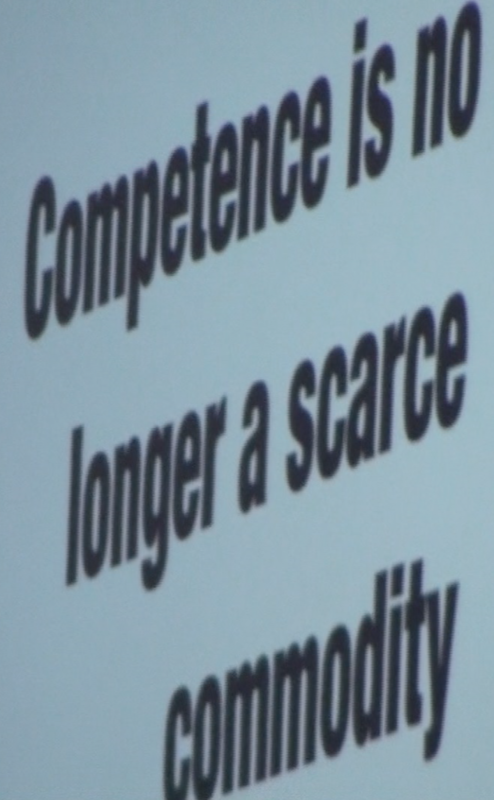 As the slide above says, being competent is no longer a scarce commodity. This is not enough to keep your job! You need to learn how to FIGURE OUT the answers, and not just know where to find them so you can write them down. ANYONE can find the answers, but you need to learn to be figure things out. And this means that you will probably be wrong along the way. And when you truly lead, you are figuring things out and not just writing down answers to something some else has already figured out. The internet has given us all a microphone to lead. We don’t need to get on a daytime talk show to do this. And to truly lead, you need to innovate, you need to be remarkable, and you have to be new. The only way to innovate is by failing with commitment until you succeed. The problem is we have been taught we should not fail.We should be safe and so this part of our brain takes over and…we run from things that may make us fail.. This is called the Voice of the Resistance (Lizard Brain). It used to be very useful when safety was a primary concern every minute of every day. But today, it makes us act like a sheep. It makes us say it wont work, they are going ot make fun of me, and after all… who am I?… because no one picked me. But just because the tide is out, doesn’t mean there is less water in the ocean. It has just moved. And it has moved to personal leadership, personal connection, and art. Every individual has only 2 choices. You are either going to stand out or you are going to fit in. You are going to stand up and be noticed and own it and take repsonibility or hide behind the rule book and the organization and your own lizard brain. But if you choose to make this art and take this leadership, you need to ensure you give a gift. You can look at a painting by Picaso and it doesn’t cost you a dime. You can listen to the Beatles and no one charges you for it. Gifts are NOT favors. This is about the emotional connection tribe leadership creates because of gifts. A gift from the heart brings people together. The scarcity today is trust, attention, and permission. Generosity is not given because you are going ot get something back later. You do it because it is the only way to do art. Don’t strive to be heard when you’re here. Work to be missed when you’re not. Hey Mike, I have bookmarked this blog of yours. Hands down, one of the best blogs on your website. 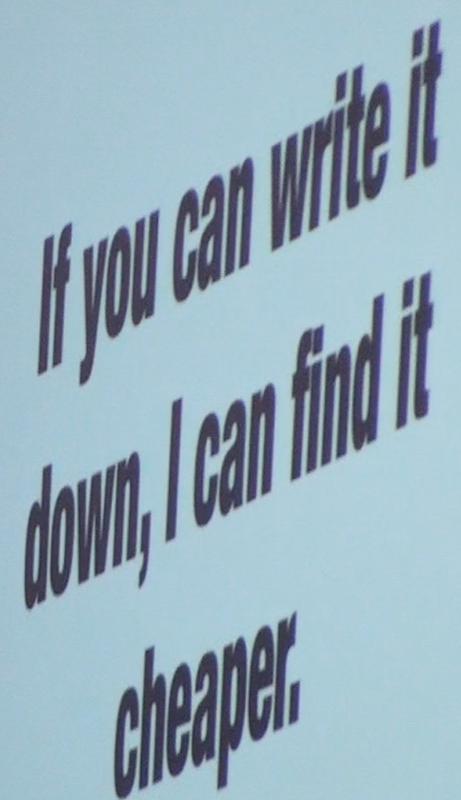 I mean, seriously, the philosophy that you explain above is fantastic, the use of language and the crisp writing. The talk about connecting with people on the edges of the bell curve, wow! I am close to DC, if and when you’re in this area, I would really love to meet with you in person. You have been one of the best people I’ve associated with via Beachbody. You ooze knowledge, good attitude and an intelligent personality. Thanks Vivek.That is very kind of you! We are all doing this together! #MutualRespect!